Hours before the floor test is set to begin in Karnataka assembly, Congress leaders said they have the numbers and ultimately they will form the government in the state in alliance with Janata Dal (Secular). 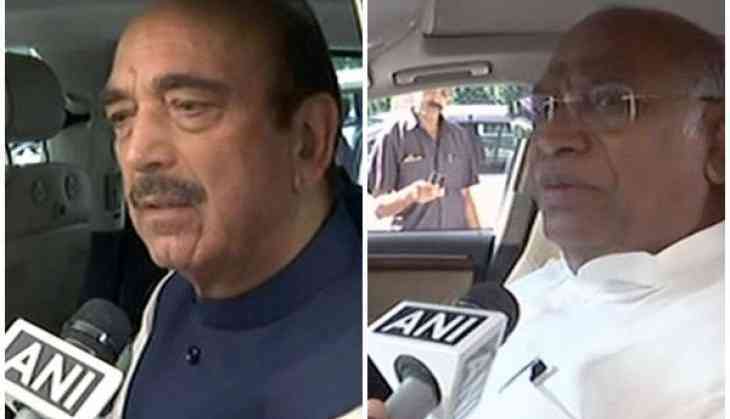 Before leaving for the assembly, senior Congress leader and Rajya Sabha MP Ghulam Nabi Azad said the numbers are against the Bharatiya Janata Party (BJP) and expressed confidence that Congress-JD(S) will form the government in the state. "Numbers are against the BJP. Numbers are in favour of us. MLAs are in our favour. We will form the government," Azad told ANI. Echoing similar sentiments, another Congress leader Mallikarjun Kharge, who is also the Lok Sabha MP, said, "The BJP does not have the numbers; we will win the floor test. The BJP is just trying to prove their majority and they will fail to do so." Meanwhile, a bus carrying Congress MLAs has arrived Bengaluru ahead of the floor test which is set to begin at 4 pm in the state assembly later today. Yesterday, while hearing a petition of the alliance, the Supreme Court reduced the time given by the Governor to the BJP to prove simple majority in the house and asked the party to hold the trust vote on Saturday at 4 pm. The decision was taken after the top court heard the arguments for and against the petition filed by the Congress and Janata Dal (Secular) following Karnataka Governor Vajubhai R. Vala's invitation to the BJP to form the government in the state. The BJP is the single-largest party in the state assembly with 104 MLAs, however, they are still short of the simple majority mark of 111 by seven MLAs in the 221-member assembly whereas the Congress alliance has 117 MLAs, including two Independent legislators. READ NEXT >> Is it possible to get 100 percent of our energy from renewable sources?